Character Dining at Disney World is an important part of making any vacation extra magical! There are so many fantastic character dining opportunities that allow your little one to grab some yummy grub while getting up close and personal with their favorite Disney friends. Many restaurants across Walt Disney World offer character dining, but some restaurants only offer it for certain meals. Be sure to keep that in mind when booking your reservations because you won’t want to accidentally book when there won’t be characters! It is essential to make reservations for Disney character dining experiences as they book up fast! You can book your dining reservations beginning at 7am EST 180 days before your vacation begins, so be prepared to hop on your My Disney Experience app or the Walt Disney World website as soon as your booking window opens. When deciding where to book your character meals, you will really want to consider which characters are your main priority to see! Depending where you dine, you can meet lots of different princesses, the 100-acre woods crew, or the fab five! The fab five includes: Mickey, Minnie, Pluto, Goofy, and Donald! Breakfast is one of the best meals at Walt Disney World, in my opinion. I can’t help but think of warm Mickey waffles drizzled in sweet maple syrup, the amazing bread served at ‘Ohana and all of the other delicious pastries and breakfast items Disney has to offer. This is why character dining for breakfast is one of my favorite things to do at Walt Disney World. It’s also a great way to get little ones excited about the day…and you might even get to head into the park early if your reservation is right at park opening time! 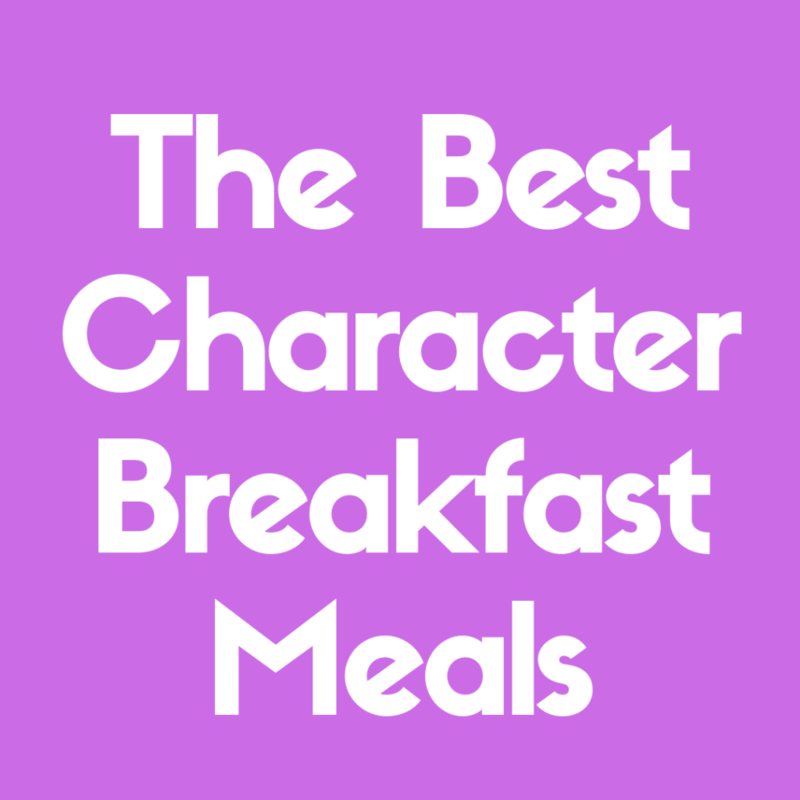 In this article, I’m going to be over my top 5 best character breakfasts at Walt Disney World! 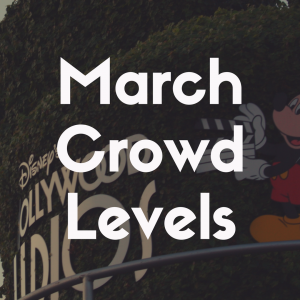 Broken down into price, experience, food, and atmosphere, I will uncover everything you need to know about each of these amazing character dining experiences to help you choose which one would be best for your family! This is the quintessential character breakfast at Disney World. If you love princesses, this is the palace to be…see what I did there? Cinderella’s Royal Table is one of the most expensive restaurants in Disney and definitely one of the hardest reservations to snag. 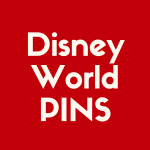 You have to call in order to book this reservation, so be sure to have your phone ready at 7am EST 180 days before your first day at Disney World. In Magic Kingdom, you’ll head to the back side of Cinderella’s Castle where you will enter the dining room. The palace décor is exquisite, so take some time to appreciate its beauty. When you head inside, you will have opportunities to meet multiple Disney princesses including Cinderella of course. The menu at this restaurant will set you back at least $35 per adult and may be as much as $60+ per adult depending on how you dine. You can use your Disney dining plan here, but it will cost you two table service credits so keep that in mind if you are using those! The breakfast menu has some lovely choices. Start with a pastry plate including a few types of lovely breakfast pastries. For your entrée, you can choose a traditional breakfast of scrambled eggs, sausage, bacon and potatoes or choose something more decadent like caramel-apple stuffed French toast! 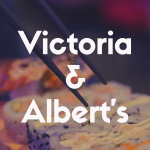 They have Shrimp and Grits, Baked Quiche, Beef Tenderloin with Eggs, and a Healthy Choice breakfast which includes oatmeal, dried fruit, along with a poached egg, avocados, and more! Children have a lot of great options including egg white frittatas, assorted cereal, waffles and more! They can choose sides along this entrée with selections like a yogurt parfait, bacon, fruit, or sausage. There are allergy-friendly menus available upon request as well as a few specialty wine cocktails for adults! Cinderella’s Royal Table is my top choice for a breakfast character dining experience simply because it is such an incredible experience. It is so much fun dining inside Cinderella’s Castle while meeting all of your favorite Disney princesses. It is magical to say the least. If you want to spend half the money on a similar dining experience to Cinderella’s Royal Table, check out Akershus Royal Banquet Hall. Located in the Norway Pavilion at Epcot, this dining experience features Snow White, Aurora, Belle Ariel, and more Disney princesses! This is a buffet-style dining experience with similar pricing to Cinderella’s Royal Table, but you are pretty much guaranteed to pay less here. If you are planning on using your Disney dining plan here, it will only run you one table service credit which is a huge plus! The menu is comprised of their buffet’s current offerings which typically include scrambled eggs, bacon, sausage and potato casserole. Since this palace is in Norway, you will find some fantastic Norwegian-inspired options such as salami, smoked pork loin, muenster cheese, dilled salmon gravlax, peppered mackerel, Jarlsberg cheese, and more! There are also many drink options here but no alcoholic beverages at breakfast. Heading back to Disney’s Magic Kingdom, Crystal Palace is another fantastic character dining breakfast! Meet Pooh, Piglet, and Tigger at this buffet-style eatery while you view all the magic buzzing around Magic Kingdom. This meal will cost between $35 and $59 per adult and use up one table service credit on your Disney dining plan. The Crystal Palace is really a gorgeous place to dine featuring windows surrounding the dining area, all white décor, with tons of greenery to compliment. The menu is here is simple but tasty including scrambled eggs and an omelet station, fresh baked pastries and tons of breakfast cereals to choose from! You will also find pancakes, waffles, breakfast meats, potatoes, and seasonal fresh fruit. Crystal Palace also offers allergy-friendly dining options upon request! They offer many alcoholic beverages as well including mimosas and house-made white sangria. You can also enjoy a Bud Light, Blue Moon Belgian Wheat, Angry Orchard Crisp Hard Apple Cider, Michelob Ultra, and Cigar City Hai Alai India Pale Ale. There is also a large wine selection which you can order by the bottle or glass. Dining at ‘Ohana is such a special experience, and their breakfast really is one of the best. ‘Ohana is located in the Magic Kingdom Resort Area within Disney’s Polynesian Village Resort. Inside you’ll find Polynesian-inspired décor and a beautiful dining room where you can enjoy your meal. Dining during breakfast at ‘Ohana means you’ll get to meet Lilo, Stitch, Pluto, Mickey, and Minnie! I think ‘Ohana is such a special place to me since Lilo and Stitch aren’t in the parks as much as they used to be. The Polynesian menu here is also incredible. You will spend $35 to $59 at this restaurant or use one Disney dining plan table service credit while eating here. Their breakfast is served family-style and is all you can eat so fill yourself up before heading to the parks! You will be served Hua Paka which are scrambled eggs, Uala Kahiki which are island-style potatoes along with Pua’a which are pork sausage links served with Hawaiian style ham and topped with a sweet pineapple compote. They’ll also have Mickey waffles (YUM) and pineapple coconut breakfast bread which is absolutely delectable. They’ll also make sure you have plenty of seasonal fruit to munch on while waiting for each character to get to your table! Chef Mickey’s is another iconic character dining experience perfect for Mickey lovers of all ages! Inside the Magic Kingdom resort area, head over to Disney’s Contemporary Resort for your reservation at Chef Mickey’s. This fun, colorful, buffet-style restaurant features Mickey, Minnie, Donald and may hold some other fun surprises as well! Plan to spend between $35 and $59 while dining here or hold one Disney dining plan table service credit for this location. The menu includes simple, American-style dishes that will please your pickiest eater. Enjoy seasonal fruit, smoked salmon, yogurt parfaits, and quinoa salad to start. Then, move onto the breakfast favorites to fill up your tummy! 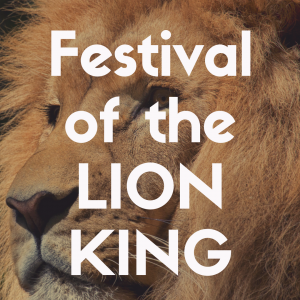 There will be carved ham, breakfast potatoes, western scrambled eggs, and tofu scramble with spinach. You will also find hickory-smoked bacon, buttermilk biscuits with sausage gravy, the chef’s hash, as well as the chef’s pancake of the day! You can also create your own mickey waffle using syrup, chocolate sauce, caramel sauce, sprinkles, chocolate chips, whipped cream, and more! Little ones can enjoy scrambled eggs, assorted cereals, tater bit potatoes, and pork sausage links. Be sure to stop by the sweets table to grab a variety of Danishes and turnovers, rice crispy treats, Minnie’s muffins, and donut holes! 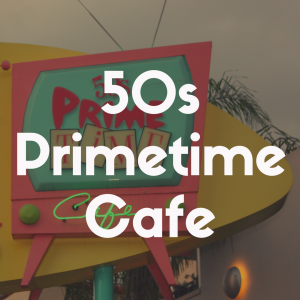 There are tons of other places to meet characters as you dine all around Walt Disney World! Making a reservation as early as possible is the best way to ensure you snag a spot at your top choice. Other restaurants that offer character dining experiences are the Garden Grill Restaurant in Epcot, Tusker House Restaurant in Disney’s Animal Kingdom, 1900 Park Fare at Disney’s Grand Floridian Resort and Spa, and Hollywood and Vine at Disney’s Hollywood Studios. There are also tons of character dining events as well, so be sure to keep an eye out for those. 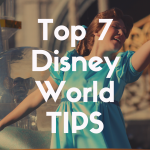 You can also call Disney’s customer service number or speak with your Disney World travel agent to talk about all of your character dining event options. Overall, there are tons of Disney character dining experiences to choose from. When deciding where to dine, I would first decide which characters you want to meet the most. There are so many different characters you can meet while at a character meal, and it’s a great way to meet lots of characters without standing in long lines at the parks! This is my favorite way to meet characters since you’re sort of knocking out two birds with one stone. You also might want to consider which park you are going to be in that day when deciding where to dine. If you get a breakfast reservation right at a park’s opening time, a lot of the time they will allow you to get into the park early which means you can ride one ride with almost no wait before heading to your reservation! I mentioned this earlier, but I’m going to mention it again because this information is just THAT important. Be sure to either be on the My Disney Experience app or the Disney website (whichever is easier for you to use) right at 7am EST 180 days before the first day of your vacation to make sure you can snag a reservation at all of your top choices. If you’re dying to dine at Cinderella’s Royal Table, have the Disney reservation phone number pulled up and ready to go! This way you can guarantee yourself all of the best reservations! If you for some reason can’t get all of the ones you want, consistently check the My Disney Experience app and Disney website for open reservations. The day before and they day of a reservation, tons of people cancel as their plans change. When this is the case, you can often book a coveted reservation the day before or the same day you wanted to dine there. So, keep a sharp eye out for those opportunities! Enjoy all of the memories you and your family make together at your character dining experiences. They can be so special and create memories that last a lifetime! Be sure to have your giant pens and autograph books ready for signatures. Also, make sure you have your camera charged and ready to go for tons of great pictures to eventually put in your Disney scrapbook. I hope you enjoy these magical dining experiences at the happiest place on Earth!